With 20-year income totalling over a half-million dollars, the stakes are high enough to draft a deal with minimal risk to the congregation. 1. Use a lawyer experienced in cellular antenna contract negotiation, hopefully one who has negotiated deals for other congregations. 2. Be careful and patient. 3. Play one company against another. Don’t accept the first deal. 4. Be defensive. Choose four renewable 5-year lease periods instead of one 20-year lease period. 5. Don’t make any deal that jeopardizes your status as a non—profit organization, unless you are willing to accept the consequences. 6. Don’t accept a deal which compromises the aesthetics of your building, particularly if your site is historically relevant. Ask for architectural drawings of how the steeple will look after the antenna is installed. Make those drawings part of your contract. 7. Make certain that the agreement restores your property to its original state if the antenna is removed. 8. If access to the antenna involves walking on any roof, shift the maintenance responsibility for the roof to the antenna company. 9. Make sure the contractual agreement involves a substantial non-refundable down-payment upon its execution. 10. Make sure the agreement assigns responsibility to the company for obtaining all approvals and permits and a “drop—dead” date 90—days from contract execution. 11. Carefully analyze your electric metering options for all the all antenna equipment requiring electric power, including power to the antenna itself as well as any air conditioning of equipment rooms. One option is a separate meter from the electric utility. Another option is to have the antenna company install a demand—reading submeter and to pay an independent meter-reading company to read the meter on roughly the same day as the utility reads its meter and bill the antenna company for its share of the electric usage. 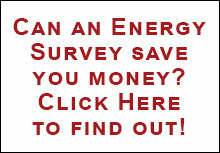 The right choice of metering requires an understanding of the rates from your local utility. Call ICE for help before deciding which option to use. Five documents are attached. The first is two-page FACT SHEET from the Federal Communications Commission. The second is a MEMORANDUM of how the Telecommunications Act of 1996 relates to zoning. The third is a flow chart of one process of developing a contractual agreement between a parish and a wireless communications company. The fourth is a sample lease, and the fifth lists BASIC PROVISIONS AND LEASE REFERENCE DATA as part Of the sample lease. The Interfaith Coalition on Energy has no experience whatsoever in wireless communication antennas. We provide this advice to help congregations, particularly struggling, urban congregations, negotiate deals which are in their best interest.